Energiewachttour progressed into a successful week of racing for our girls with a total of two victories and a 2nd place. Although being a UCI 2.2 race, only two out of the top ten teams were missing from the start list, making it a high quality peloton and as always tough racing. In the Team Time Trial our girls finished to a good 6th place in the wet and slippery conditions, the victory went to Boels Dolmans putting Ellen Van Dijk in the yellow jersey. After a rough second stage, stage three offered new opportunities as Julie was able to join the decisive breakaway of six. In the last of the small laps, riders of the breakaway started attacking and USA with two riders could play their numbers. Allie Dragoo eventually got clear, Julie followed but was not able to close the gap that had opened and finished to a strong 2nd behind the American. The fourth day offered two stages with a road race in the morning and a ITT in the afternoon. The road race ended in a bunch sprint, our girls did everything right in the chaotic finish helping Kirsten to a good position into the last corner. 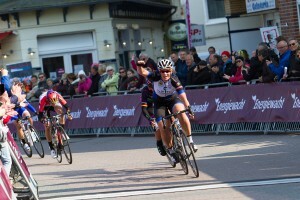 Kirsten did what she does best and outsprinted the others to take the victory in Zuidhorn. In the ITT later that day some chose to take it easy to save energy for the last stage next day. Tatiana was our best rider in 20th and Julie finished 26th. The stage was won by Ellen Van Dijk who got the yellow jersey back from teammate Chantal Blaak. The last stage was held on the small German Island Borkum just north of Gröningen. The wind was never strong enough to break up the peloton and although there were enough attacks to make the racing hard, it ended in a bunch sprint. Our girls worked well and was rewarded with their second victory of the week as Kirsten won the bunch sprint. The overall victory belonged to Ellen Van Dijk ahead of Annemiek Van Vleuten (Orica AIS) and Lisa Brennauer (Canyon SRAM) in third. Our team of the week: Kirsten Wild, Tatiana Guderzo, Julie Leth, Tone Hatteland Lima, Emilie Moberg & Charlotte Becker. 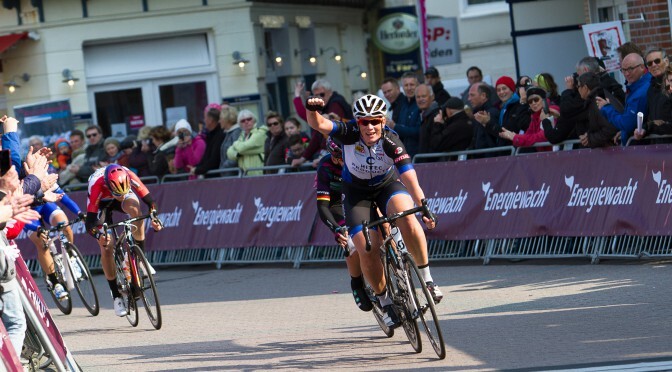 Next up is Salverda Omloop van de IJsseldelta and Ronde Van Gelderland upcoming weekend where the team will defend Kirsten’s victories from last year.